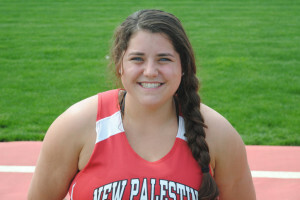 The New Palestine track teams had several strong performances, and multiple victories, at Friday’s Franklin Central Lightning Bolt Relays. Brady Walden won the long jump (19-8), and he and Gunnar Large teamed to win the long jump relay. The Dragons’ 4×800 relay also won with a time of 8:02.41, beating Zionsville by more than five seconds. The 4×400 relay won with a time of 3:24.44 Caleb Eagleson won the 1600 with a time of 4:25.49. 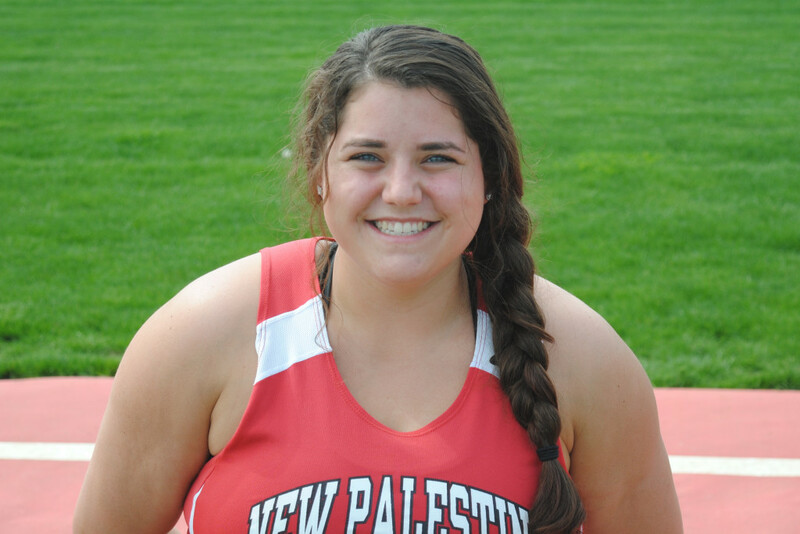 Lillie Cain won the shot put (39-2) with Emily Jonas placing fourth. Cain was also third in the discus. Other finishers for the Dragon boys were Laine Schonauer (3rd) and Gavin ?? 4th in the high jump. Spencer Worth was sixth in the pole vault. Demetre Mitchell was fifth in discus and sixth in shot put. The 4×200 and sprint medley relay teams finished third. The 4×1600 and distance medley relay teams finished fourth. The Dragon girls 4×800, 4×200, 4×100, distance medley, sprint medley and 4×400 relays finished third. The 4×1600 was fourth. Hailee Holberton was seventh on the pole vault. 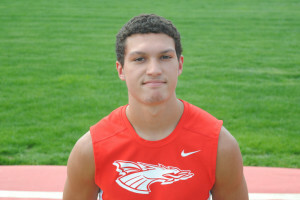 The track teams compete Monday against Franklin Central and Roncalli. Brady Walden won the long jump at Friday’s Lightning Bolt Relays. Lillie Cain won the shot put at the Lightning Bolt Relays. 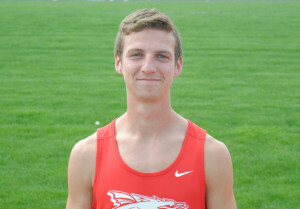 Caleb Eagleson won the 1600 at the Lightning Bolt Relays.